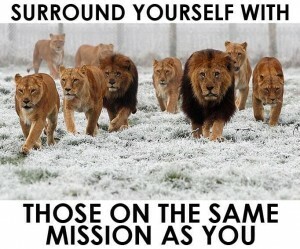 You Become Who You Surround Yourself With! 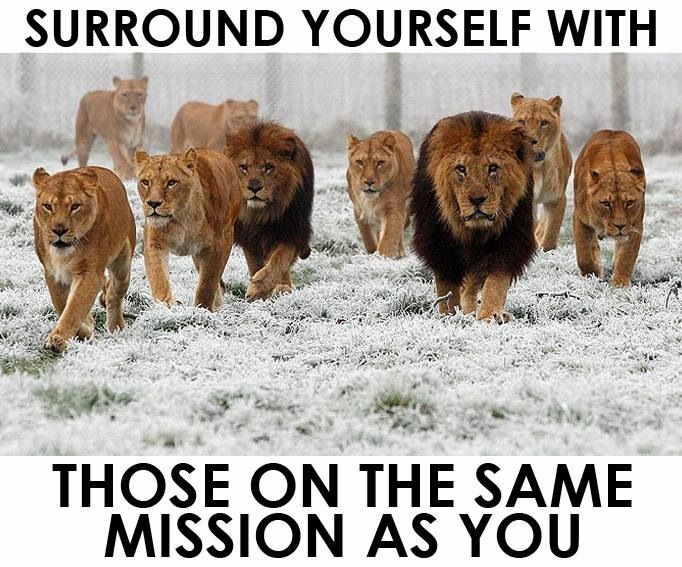 People often underestimate the power of this simple truth: “You become who you surround yourself with”. In practice, this means that the place you live in, the words you use, the people who you work and socialise with over time shape your personality and thus your life in many ways. With a hindsight we can usually say about someone: “He or she has changed so much since he started being around that new group of friends…” But the process itself is often too subtle and gradual to attract our conscious attention. With that in mind, we should be particularly careful as to who we invite into our lives, especially people we deal with regularly. Day after day, your interactions influence your inner structure and thinking patterns. Now ask yourself – are the people around me success-oriented? Are they strong, positive and encourage my personal growth? Being surrounded and supported by people heading in the same directions and sharing your values will have a great impact on your life, as their zeal, enthusiasm and confidence will inevitably become a part of your own thinking. If your friends and partners are ‘wired for success’, then you will rub off you, too. Do not settle for average quality connections, nor surround yourself with those who like to complain and make procrastination their life style, because before you realize, it is going to reflect on you as well. In many cases, it is better to be alone than in a company of people to dim your enthusiasm and drag you down. Protect your life from bad influences as you would protect your valuables from thieves. If you notice that certain people have a negative impact on the way you feel and perform, do you best to gradually cut off those connections or at least minimize the time you spend with those people. It really pays to look for the company of people whose presence, influence and ideas will be a source of perpetual motivation and inspiration for you, a tonic for your mind and soul.